Pascal J. Thompson - Conseillers T.E. With a background in technology and the natural sciences, Pascal practices investment counsel with a detailed and formulaic approach. Pascal’s aptitude for logistics and passion for problem-solving greatly inform his work in asset, portfolio and account management. He is committed to prompt and professional client service in the delivery of independent investment advice and strategic financial planning. 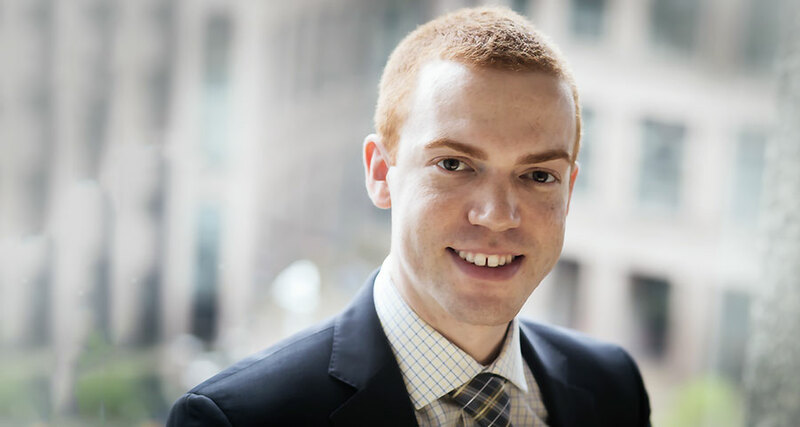 He holds the Chartered Financial Analyst (CFA) designation and has a Bachelor of Business Administration degree from the British Columbia Institute of Technology, with an Advanced Accounting specialization. A Vancouverite through and through, Pascal’s interests include downhill skiing, rock climbing, hiking, film and travel. We have been dealing with Pascal Thompson at T.E. for several years and have always found him to be unfailingly polite and enthusiastic. He is very knowledgable, yet he is able to speak clearly to those with various levels of knowledge regarding financial matters. He has always acted promptly when we have made any requests of him, and has been proactive in suggesting and reminding us of things we might want to do. We have had been clients of T.E. Wealth for 15 years. Pascal Thompson consistently provides excellent service and professional advice in the management of our account. His cheerful personality and strong desire to promptly satisfy our needs make him a pleasure to work with.